Are you interested in doing business in Bosnia? Are you interested in taking a trip to Bosnia? Are you of Bosnian heritage and living, working or visiting Cleveland or Northeast Ohio? Submit your Cleveland Bosnian news and events. Submit your Cleveland Bosnian organizations and resources. Submit your Cleveland Bosnian jobs, classes and other opportunities. 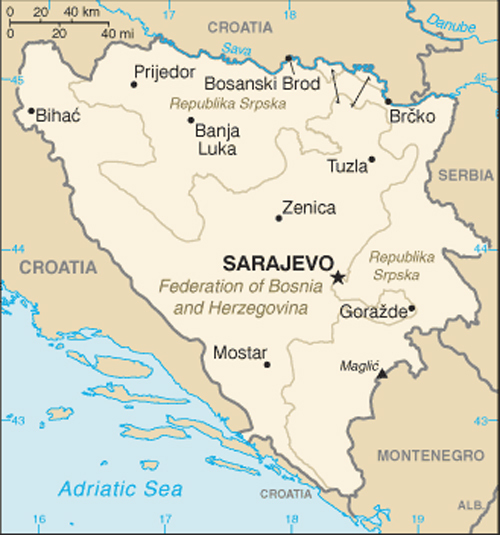 The Dayton Peace Accords retained Bosnia and Herzegovina's international boundaries and created a multiethnic and democratic government charged with conducting foreign, diplomatic, and fiscal policy. 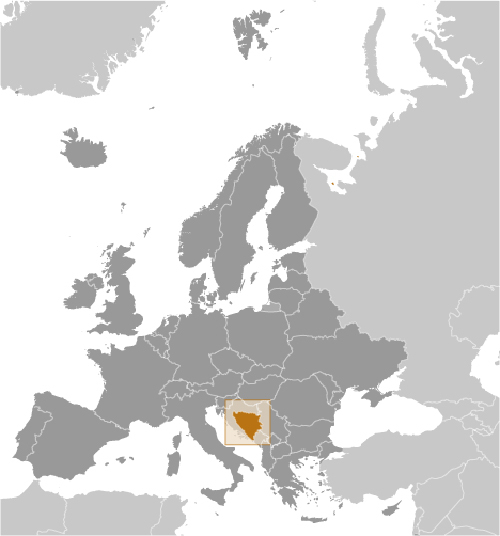 Also recognized was a second tier of government composed of two entities roughly equal in size: the predominantly Bosniak-Bosnian Croat Federation of Bosnia and Herzegovina and the predominantly Bosnian Serb-led Republika Srpska (RS). The Federation and RS governments are responsible for overseeing most government functions. Additionally, the Dayton Accords established the Office of the High Representative to oversee the implementation of the civilian aspects of the agreement. The Peace Implementation Council at its conference in Bonn in 1997 also gave the High Representative the authority to impose legislation and remove officials, the so-called "Bonn Powers." An original NATO-led international peacekeeping force (IFOR) of 60,000 troops assembled in 1995 was succeeded over time by a smaller, NATO-led Stabilization Force (SFOR). In 2004, European Union peacekeeping troops (EUFOR) replaced SFOR. Currently, EUFOR deploys around 600 troops in theater in a security assistance and training capacity. Tell us about the music, food, holidays, traditions, costumes, language and other qualities that makes people from Bosnia so special. Submit your Cleveland Bosnian cultural items. Read more about the Bosnian and other Ambassadors. If you are interested in being considered to be an official ClevelandPeople.com Ambassador to the Cleveland Bosnian community, please contact us. 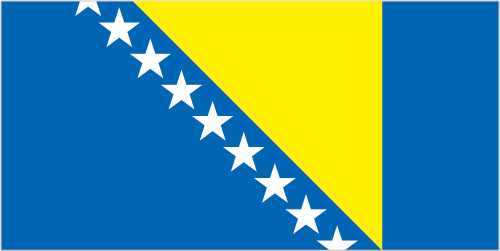 If you want to reach the Bosnian community in Cleveland and Northeast Ohio, please contact us.